Posted on November 21, 2015, in 21st century republicanism and socialism, Anti-social activity, éirígí, British state repression (general), Democratic rights - general, Irish politics today, Political education and theory, Public events - Ireland, Repression and resistance in the six counties today, Secret police, six counties. Bookmark the permalink. 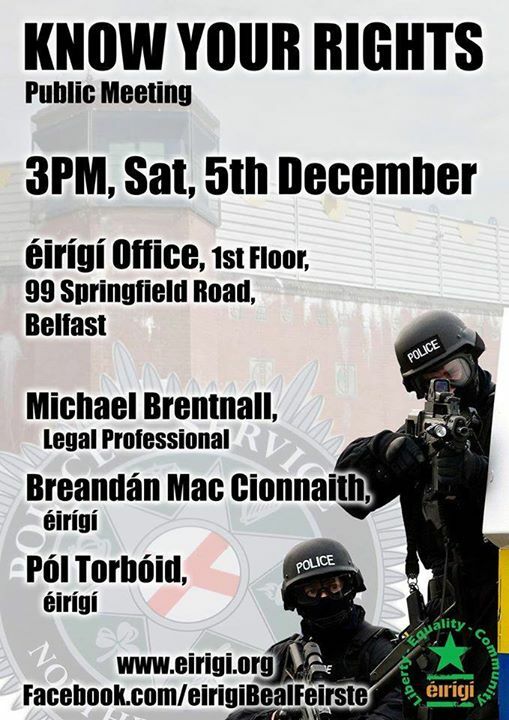 Comments Off on Know Your Rights public meeting, Belfast, Dec 5.